This picture would be more enlightening if I had the filthy filter side-by-side with a clean filter, but suffice it to say that the filter above is very, very dirty. Although our landlord provides a basic, cheap furnace filter, we’ve been buying nicer (read: more expensive), allergen-filtering models. These filters have a lifespan of UP TO three months, which we had been interpreting as “replace every three months or so.” Turns out that furnace filters really do have a shorter lifespan when you’re running the heat (or A/C) more, which makes perfect sense: more [gunky] air through the filter means it gets clogged more quickly. We swapped our gunky filter for one of the basic filters, and noticed an immediate improvement. The airflow from the vents was once again strong enough to move the blades on our ceiling fan and move some hanging glass globes in our front room. It was not until the next day that Matthew admitted that some of the black gunk on the filter came from burning candles. We have (had?) a bit of a candle habit in the cooler months — often burning three or more larger candles (some with multiple wicks) for an hour or more in the evenings. These are all lovely candles that we make every year with Matthew’s aunt (part of a cookies and candles holiday tradition), and as candles go, they seemed pretty harmless: unscented, cotton wicks, many made of 50% [recycled] beeswax (the other 50% being standard petroleum-based paraffin wax). But when Matthew made the comment about the filter, my mind quickly made the logical leap to the fact that our lungs act as filters. 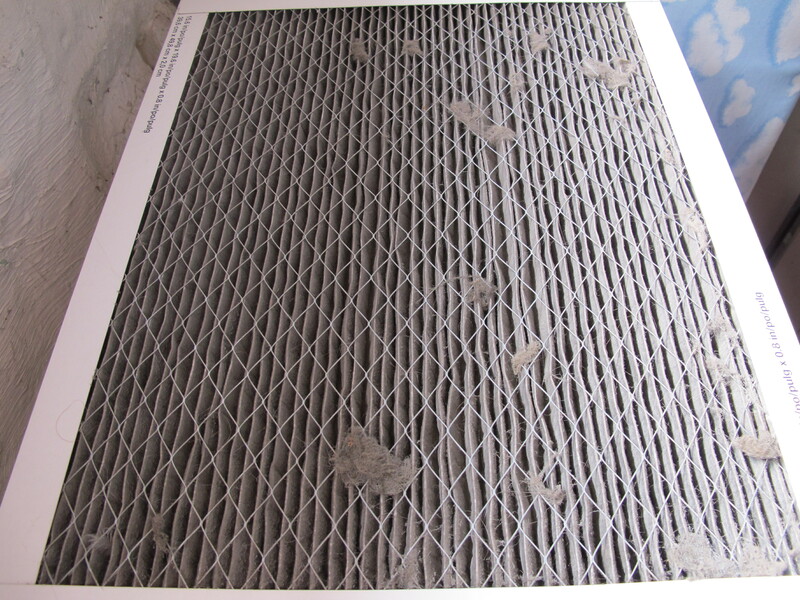 If that furnace filter was black with candle soot, what was our candle habit doing to our lungs? After a bit of research, I’ve concluded that there is probably no such thing as a “healthy” candle. *** Petroleum-based candles emit a variety of nasty, toxic chemicals when burned. Beeswax candles avoid many of the toxins in petroleum, but are not particularly clean burning (despite what those who market them want you to believe). Most sources seemed to agree that adequate ventilation (i.e., an open window) was important to having decent air quality while burning any type of candle. Sadly, this means the end of candle-lit dinners and evenings for us, at least in the winter, when we’re not going to be opening windows. Sure, we may still light a candle every now and then, but nothing like before. This decision was harder for and on Matthew than for me. It’s not easy — we like our candles and they’re hard to give up, but, as Matthew pointed out, smokers like their cigarettes, too. The fact that this seems to be a pretty clear-cut health issue makes it hard to ignore. * 68° F during the day (when Matthew’s home; often lower when I’m home alone working) and 64° F at night, in case you were wondering. I know these are NOT particularly frugal/green winter thermostat settings, but it’s a compromise and a concession to having a baby/toddler (who can’t re-cover himself at night if he kicks off the blankets) and a husband who gets very grumpy when chilly. ** This was an easy fix, but I have to say, one of the joys of renting was not being particularly worried either way. If our furnace needs to be repaired or replaced, it’s on our landlord’s dime, not ours. *** I’m not really satisfied with what I could find. Some sources say the amount of toxins emitted are negligible, some claim beeswax is great, others laud soy wax. We may revisit this issue and reconsider our candle-use policy in the future. For now, we plan to mainly save candle-burning for outdoors. This entry was posted in Health and tagged air quality, candles. Bookmark the permalink. Thanks for the reminder about the air filter. It does get dirty very easily and with an especially harsh winter this year, I am sure the heater is working full time. 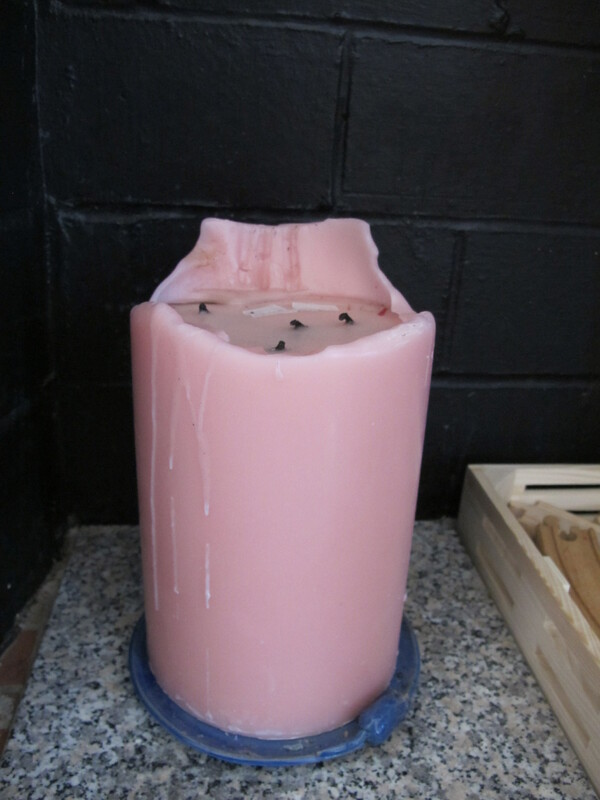 Didn’t think about candles being harmful until I saw this post. I rarely use them around the house. It may be worth asking an HVAC person to check your system so that you are not using too much filter. When ours needed service a few years ago, the tech mentioned that our system was not meant to pull air through the filter I was using, and gave me the airflow number I needed to get the most effective filter our system would use properly. This yields a compromise: better efficiency as well as better filtering, without too much filter keeping the system efficiency up to par. And, congrats on the job news (saw that post before this one)! Yeah, we’re pretty sure our system has far more duct work than necessary for an apartment this size, so we’re already not operating at maximum efficiency. We might try a slightly less-intense filter, especially since we’re noticing decreased output after just over a month with our current filter. It would be nice if the airflow number was on all furnaces.